Venezuela's Supreme Court was attacked yesterday by a circling helicopter that apparently dropped hand grenades and fired shots. It was allegedly piloted by a rogue policeman who called for Venezuelans to rise up against President Nicolás Maduro, claiming he had the backing of other police and military members, per the BBC. Venezuela is in the midst of months of protests — which have resulted in at least 70 deaths — against Maduro's government as the country has faced hyperinflation and food shortages following an economic collapse caused by slumping oil prices. 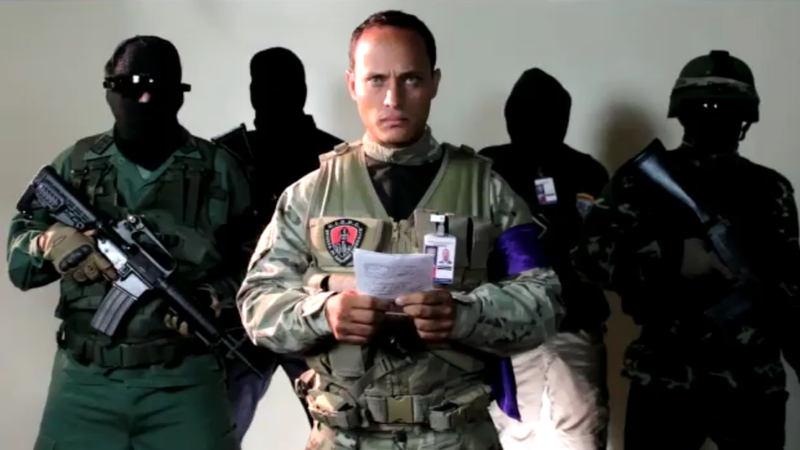 Oscar Pérez, the man reportedly piloting the helicopter, is a highly-trained member of the special forces division of Venezuela's police, who posted a video statement on Instagram calling for an uprising. One big question: Is it real? Pérez certainly has a long Instagram presence showing him in combat situations, but he has had roles as a professional actor.